If you’ve come to this post looking for Camera Obscura the band, you’re now stuck reading the whole thing to get to the video at the bottom. I’m using the honor system here, so no cheating! Alright, my dear readers, it’s time for a history lesson. Today I will be writing about the history of the camera. Well, part of the history of the camera. There’s a lot more to the invention of the camera than I thought, and a lot more steps from that to the DSLRs we use today that I think are important to cover more in depth. Especially since the history of the camera goes back farther than the history of photography. 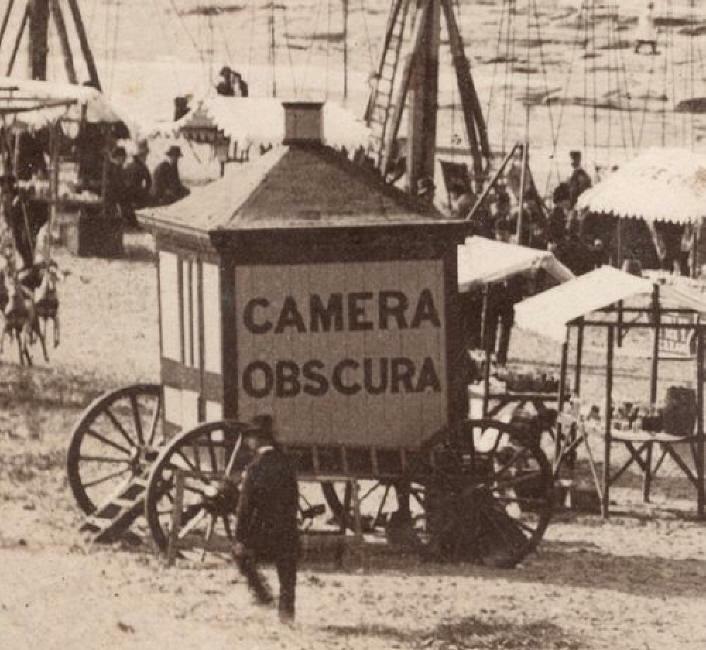 To get to the invention of the camera, we have to start with it’s predecessor, the camera obscura. This device dates back to ancient Greece and ancient China and was a tool that helped mankind learn about light and vision. The term “camera obscura” is Latin and means a darkened chamber (camera = vaulted chamber/room, obscura = dark). German astronomer Johannes Kepler – you might know him from Kepler’s Laws of Planetary Motion, if you paid attention in science class – coined the term in 1604. The basic purpose of a camera obscura is to project an image of it’s surroundings on a screen or wall and is used for entertainment and drawing/painting. 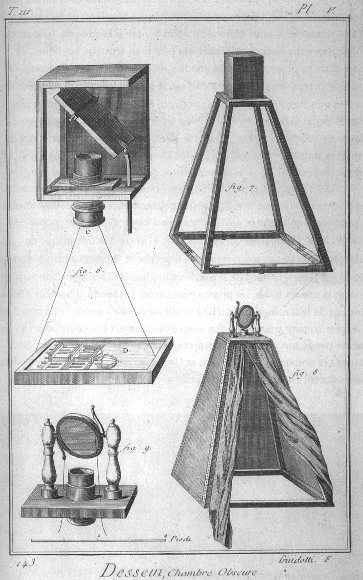 Alhazen, an Arabic scientist and astronomer, gave the first clear description of a camera obscura as well as an analysis of the device and what it does. He was the first to demonstrate that what was being projected is an image of everything on the other side of the hole, instead of just light, as previously used. He did this by successfully projecting an entire image from outdoors onto a screen indoors. In the 9th century, Chinese scientist Shen Kuo attributed the fact that the image is inverted to it being projected through a small hole. Earlier beliefs held that the reason for the image being inverted was caused by other things. For example, one earlier Chinese philosopher wrote that the inversion of the image was caused by the camera obscura being set up next to the sea and the image being of the sea. While the camera obscura had mainly been used for entertainment as well as studying various aspects of light, in the 13th century Englishman Roger Bacon suggested that the device could be used to safely observe solar eclipses. It’s use as a drawing aide wasn’t widely seen until the early 15th century. Giambattista della Porta ‘perfected’ the camera obscura by adding a convex lens to the hole to make the projected image both brighter and more in focus. He used this as an easy-to-understand example of how the human eye works. 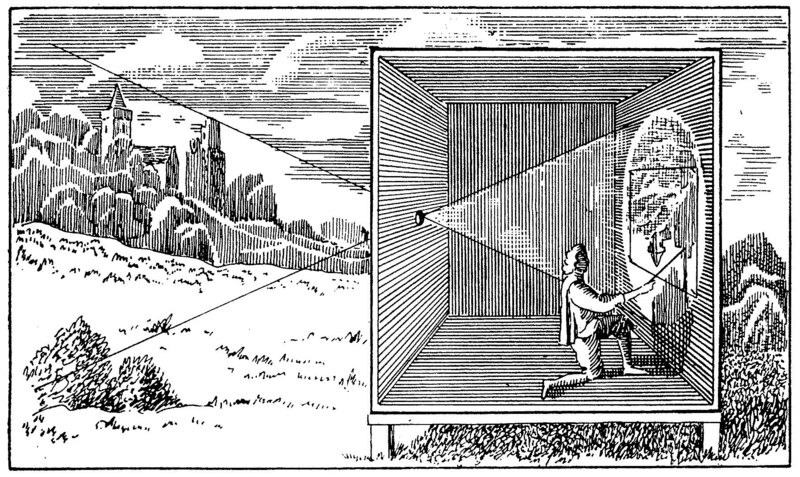 Early models of the camera obscura were quite large, needing an entire darkened room or tent to function correctly. 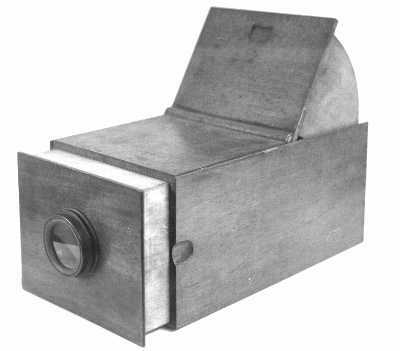 But as advances in science were made, the camera obscura became more and more easily portable around the 18th century. 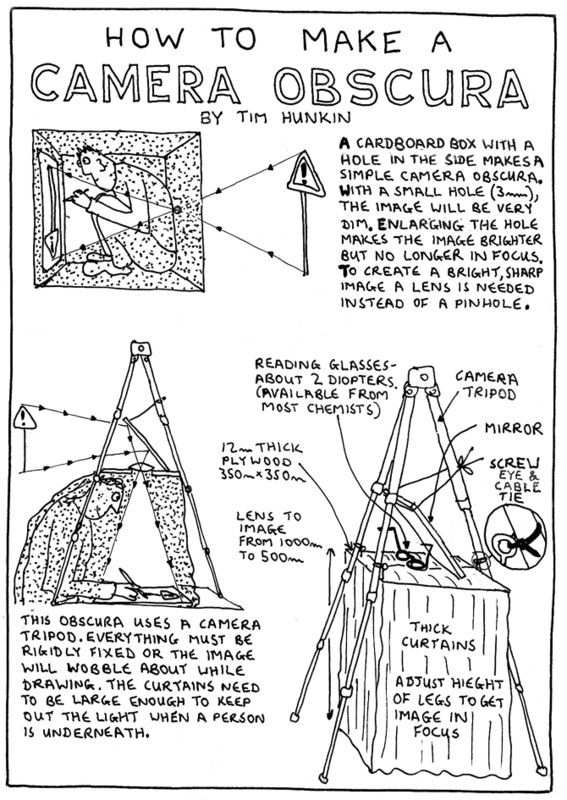 The camera obscura, while not an actual camera, is still used today. It’s main purpose continues to be entertainment, education, and is still used as an artistic aide. Basic ones are fairly easy to put together, as seen in the picture below, but more complex configurations exist as well. You can see a neat visual of the timeline of the camera obscura here. And now, lovely readers, I do believe I promised you some music. If you actually read this post, honest and true, I commend you for not just scrolling down like I probably would have. Enjoy “Let’s Get Out of This Country” by Camera Obscura.